Bring back deadly scavenge missions. Lets show new players what we used to play back in the day. Obviously nobody wants to risk a 4 star pinky etc which might have taken years to upgrade but if a players Survivor dies during a mission they could be left out of action for all game modes for a lengthy spell, say 48 hours. Make the rewards match the risks and make the missions difficult. That's exactly what the Distance is so I doubt they'd bring back deadly missions. I'd never opened the achievements screen before today. What's stopping you from doing your own new style deadly missions? 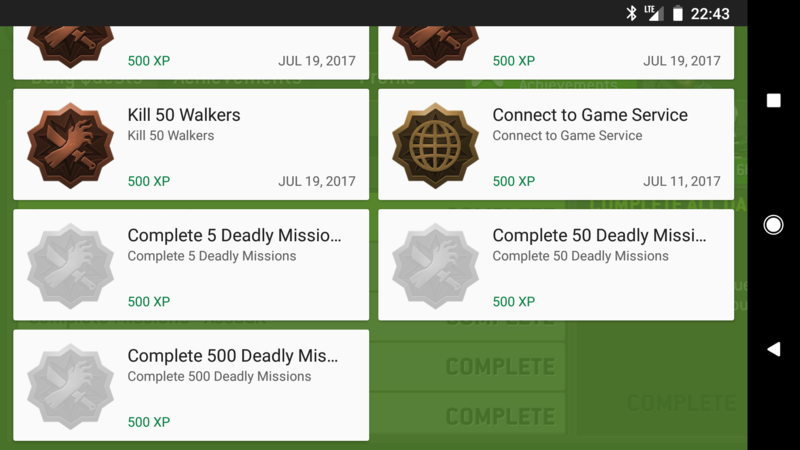 i realy liked the deadly missions. My tent still sets empty. Is there a empty tent club. @Mystique that's just neat... looks like it hasn't been posted in for quite some time. It has just been revived. > That's exactly what the Distance is so I doubt they'd bring back deadly missions. But, you’d be able to use those players, again, for the next Distance that you play. True Deadly Missions, where any survivors killed are gone (never to be used again) are what I believe Lucky_Laben was getting at. I would suggest it be more than just a Nostalgia Event, that it be more of a permanent event. That would make way for another special event by NextGames- something involving a time frame in which Deadly Missions won’t be permanent, sorta like how badge removal costs are occasionally removed. And, it might be a potential moneymaker for NextGames- imagine how much money players might spend to replace the survivors they could lose. I proposed turning the memorial tent into a weapon-retirement 'rack' a while ago. Just a place for my now-useless, fully levelled special weapons (rpg, ice axe, etc). Somewhere they wouldn't take up real equipment slots, but would never be equipable again.